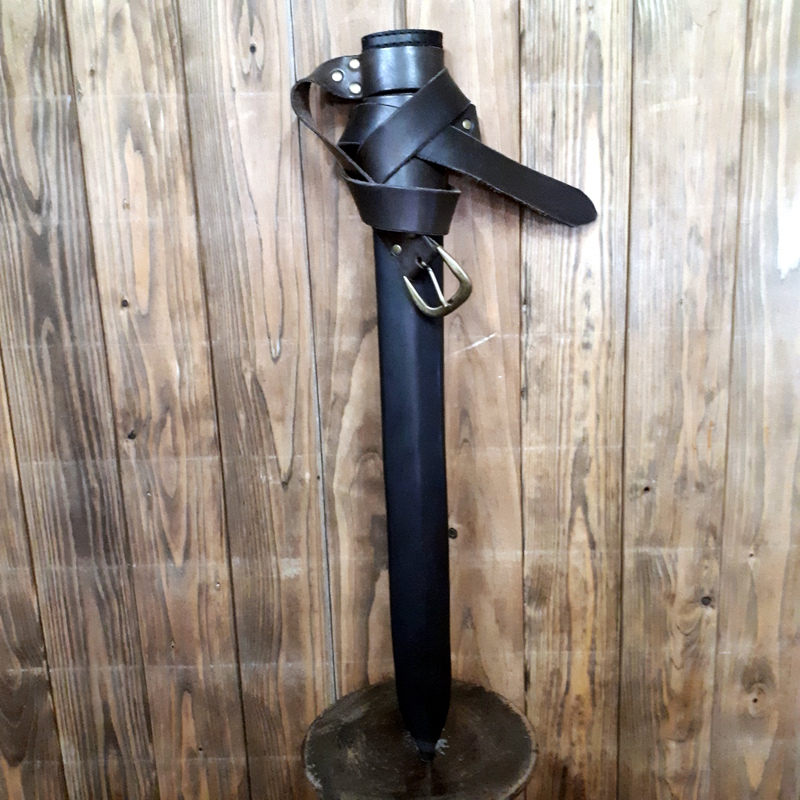 This sword sheath is an exhibit similar to our swordsheath “Salix” but a little shorter. It fits perfectly for our shortswords “Robin” and “Hagen”. In generall it is suitable for blades up to a length of 65 cm and 6 cm of width.